The revealing outfits used by Argentina’s women’s beach hand ball squad highlight major differences in official dress standards in sports. The clothing which women athletes chose to wear for play is again making headlines. 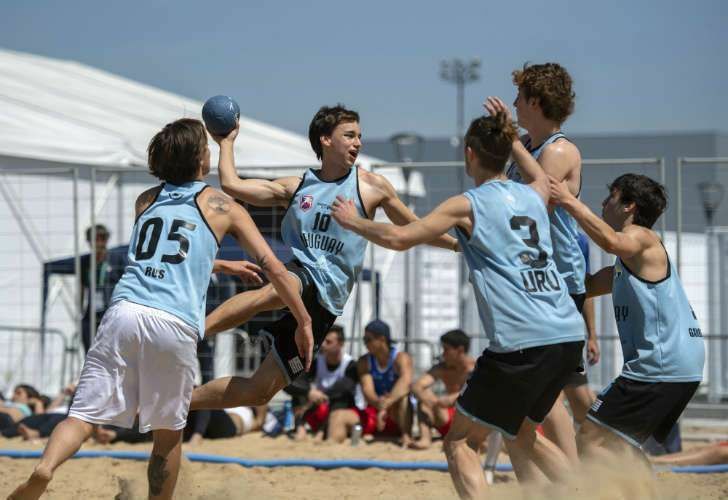 Las Kamikazes, as Argentina's women’s beach hand ball squad is known, have moved upward in the competition toward a possible medal during the Youth Olympic Games, which are currently underway in Buenos Aires. However, their outfits have caused quite a stir, not only due to the extent to which they expose players’ bodies but also in comparison to the loose-fitting outfits the male players are required to wear. Men’s shorts must be 10 centremetres above the knee while women must wear “a bikini… in line with the attached graphic [of official uniform standards] and with an ascending angle toward the superior part of the leg”, the sport’s regulations explain. The squad has said players have no problem with the uniform, suggesting it was comfortable and suitable for play. “Easy, girls, we chose the uniform ourselves for comfort and the name on our bums is according to IHF regulations. Enjoy this beautiful sport”, the Kamikazes said on their Twitter feed. The team has two victories behind them so far in the Youth Olympics: one against Croatia and the other against Hungary, following a shoot out. Observers say the Argentines could take gold. On Friday, the Kamikazes play Taiwan for the better of the two positions in the quarter finals to avoid the Netherlands in the semis.